If you have a tour plan to Tanjung Pinang or bintan with the entourage, you should take a cheap tour package. by utilizing your tour packages can benefit cheaper prices in comparison with doing your own tour. besides cheap with tour packages, you are also guided by an experienced tour guide. 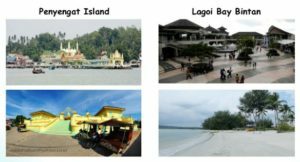 Tanjung Pinang bintan is the best choice to arrange your travel plans. this tour package is minimum for 4 people. the following tour packages that we offer. Untuk Informasi Wisata , Reservasi Hotel, Paket Wisata, Transportasi dan rental mobil di Pulau bintan dan Tanjungpinang silahkan hubungi kami.